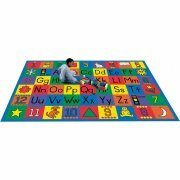 An Innovative Teaching Tool as Well as a Colorful, Long Wearing Commercial CarpetChildren will find numbers and pictures to represent the seasons, shapes, animals, upper and lower case alphabet on this Around The BlockÂ® Carpet. 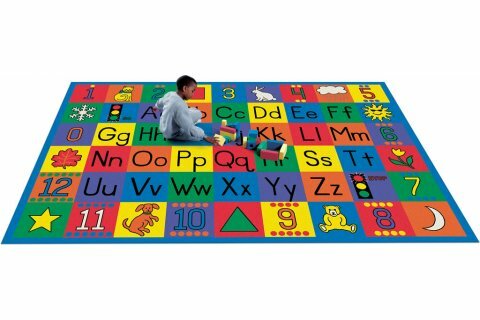 The letters of the alphabet are in sequence with a green "Go" light at the beginning and a red "Stop" light at the end.NOTE: Vacuuming over carpet edge can result in damage to the serged edge. Avoid contact with floor buffers. Follow all manufacturer's instructions.